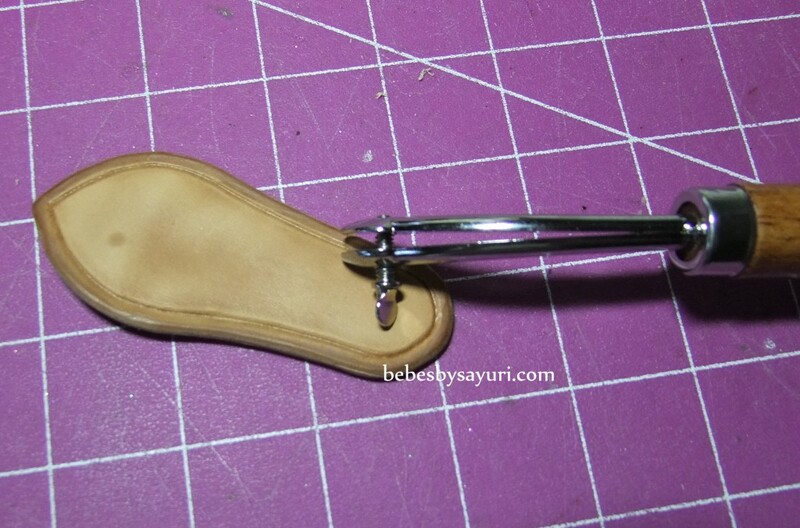 While I am still deciding skirt design, I go ahead made shoes and corset. 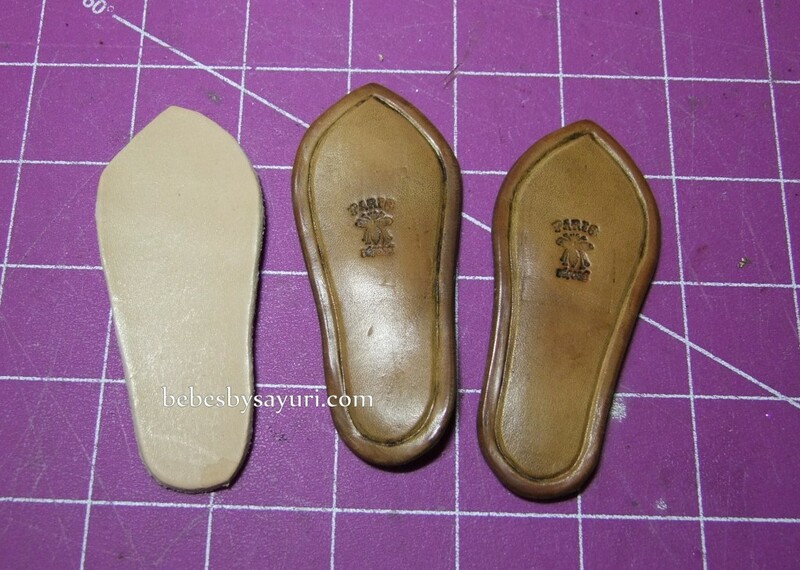 Jumeau shoes sole requires more work than Bru shoes sole because I have to put neat crease all around. 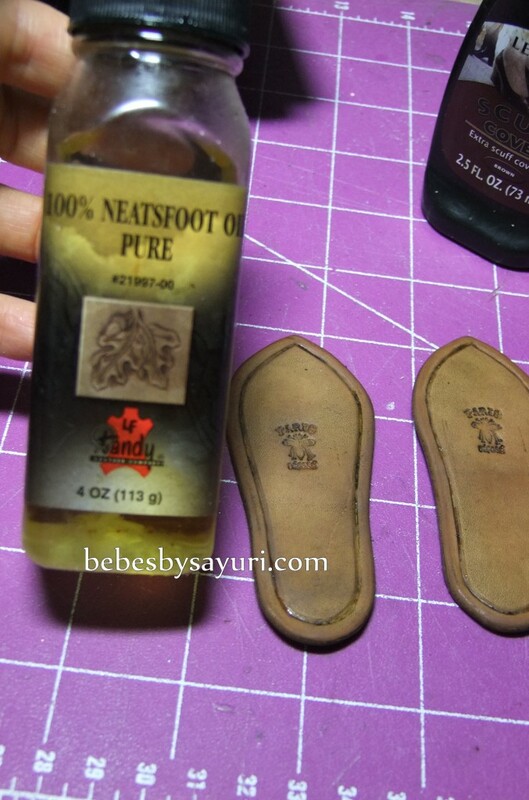 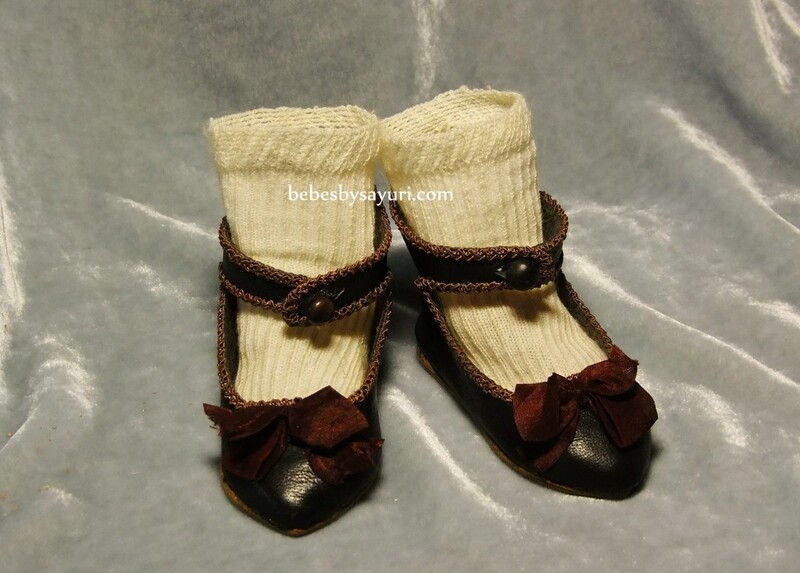 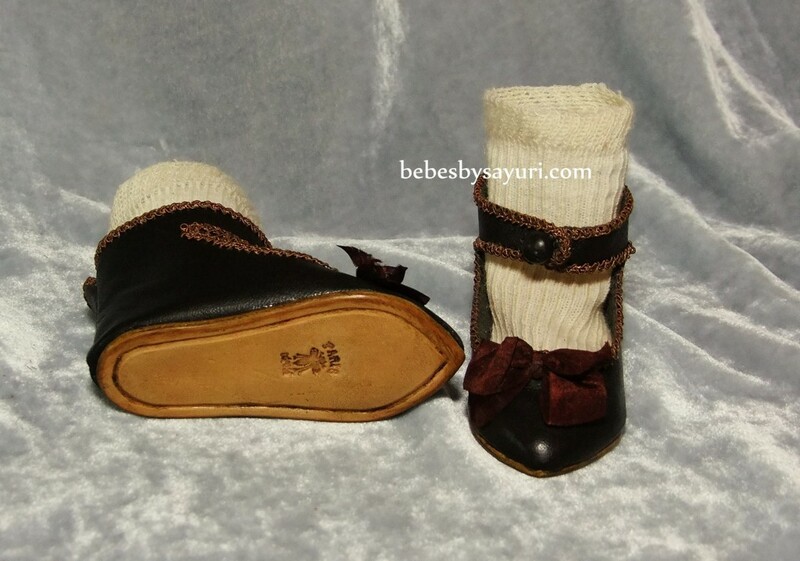 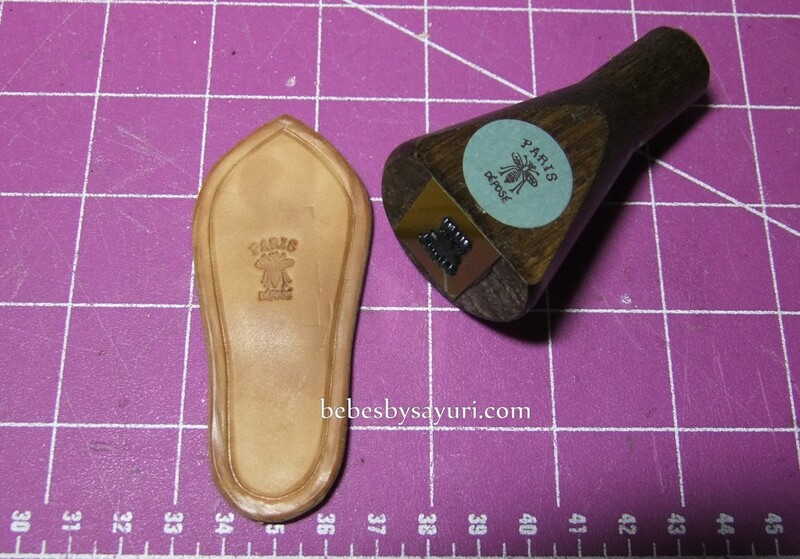 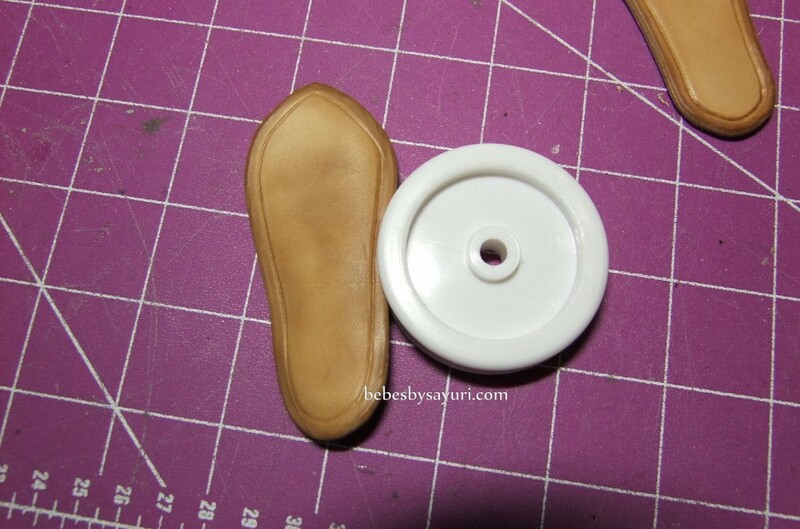 I know not very many people actually pay much attention to doll shoes sole but I want to make sure these small details are done neatly. 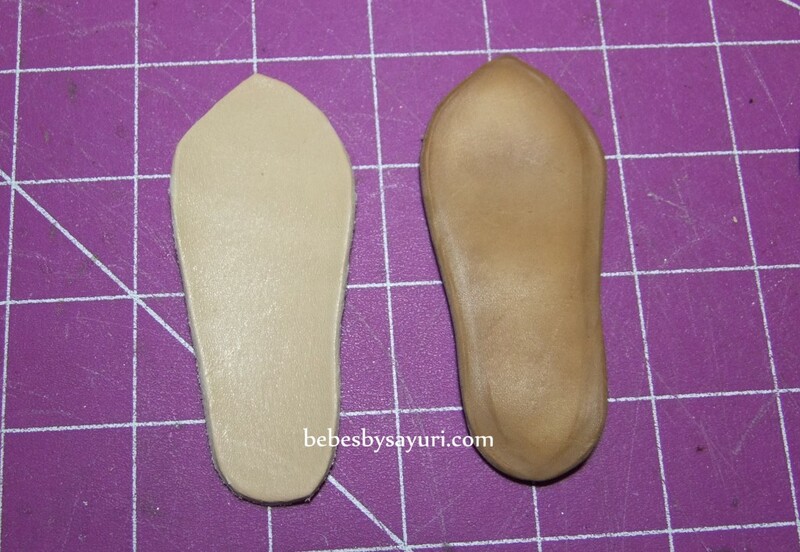 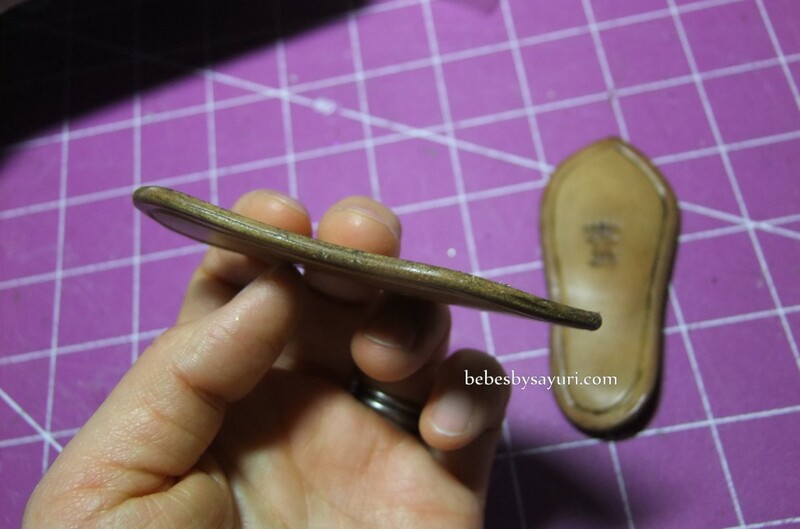 I took pictures how I make sole step by step so you can get an idea how they are made.